In 2009, the Science Museum’s centenary year, the public voted the x-ray machine as the most important object in its collections. 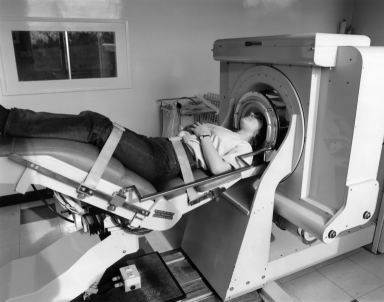 Arguably the CT (computerised tomography) scanner, which was announced to the public in 1972, is the second most important development in medical imaging. The CT scanner completely transformed medical practice by allowing 3D maps of the internal human body to be generated. There must be few now who have not benefited either directly or indirectly from this innovation. The story of the development of the CT scanner is fascinating, as is the life of its inventor Sir Godfrey Hounsfield FRS, whom the speaker met on many occasions. The prototype CT scanner was installed at Atkinson Morley’s Hospital and is now on display in the Science Museum’s Making the Modern World gallery. The talk looks at the historical and clinical context of the CT (EMI) scanner, and at the intriguing story of Godfrey Hounsfield, who left school with no qualifications and who ended up transforming medicine and receiving the Nobel Prize. The talks will be in the Science Museum’s Lecture Theatre on the ground floor of the museum, are open to all and are free to attend. No booking is necessary and seats are available on a first come first served basis. This entry was posted in Uncategorized and tagged 1972, ct (emi) scanner, EMI, nobel prize, sir godfrey hounsfield frs, the science museum by Nipper. Bookmark the permalink.